Joan Mary (Miller) Shoesmith passed away peacefully at the age of 86 on Tuesday, September 18, 2018 in Blairmore, AB. Joan leaves to cherish her memory her children, Pamela (Keith) Newton, Erin Matthews, Geoff (Carol) Shoesmith; grandchildren, Mathew (Laura Sou) Newton, Josh Newton, Jordan (Megan McLean) Matthews, Joey Matthews, Katie (Mark) Ernst, Nicole (Ryan) Seleski, Kristina (Cam Cooke) Shoesmith, David Shoesmith; and great grandchildren, Devon, Dominik, Derek, Dylan and Skylar. 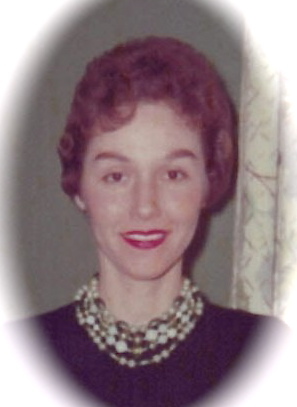 Joan also leaves behind her identical twin, Jean Depper and sister, Vicki Olsen; sisters-in-law, Margorie Hastey and Fran Miller; brother–in-law, Wally Green; along with numerous nieces and nephews, as well as special friends, John and Ingrid Hart and their children, Ashley and Lindsay. 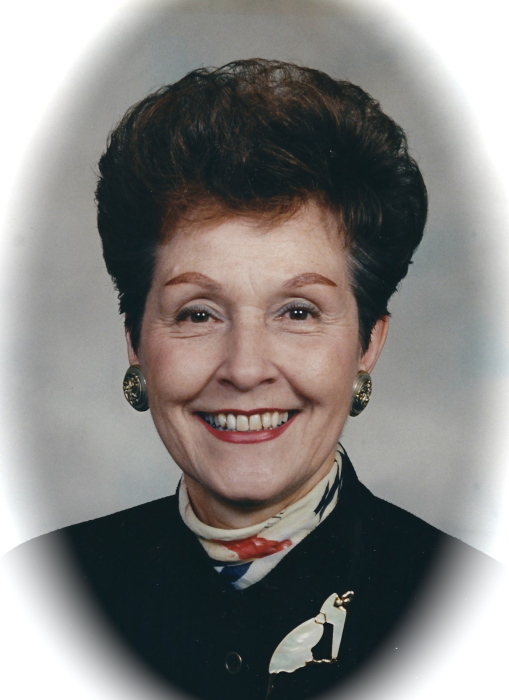 Awaiting her with open arms in Heaven will be Joan’s husband and love of her life, J.C. (Chuck) Shoesmith; son-in-law, R.E. “Rick” Matthews; infant grandson, Joshua Luke Matthews; parents, Joe and Lila (Teske) Miller; her infant brother, John; as well as her brother, Robert; sisters, Gladys and Roma; her brothers-in-law, Roy and Jack; and sister-in-law, Jean Hay. Joan was born into this world the first of 2 identical twins and third of 6 children in Thurso Quebec, but moved at an early age to Westboro (now a suburb of Ottawa) ON. Joan and Jean grew up in the heart of the Great Depression and the World War II era, but had nothing but fond memories of Westboro, visiting their Mom and Dad’s home area “back at the Blanche (Que)”, their childhood and the fun pranks that accompany being twins. After High School Joan spent 9 yrs working at RL Crain Ltd as a bookkeeper and clerk, but after having children enjoyed a career as a stay at home Mom, always willing to pitch in and help the family finances with a part time career which included working as a Member Secretary on Parliament Hill and in the office at Carleton University during registration. Joan retired from the work force as a night clerk at the Best Western Motel in Medicine Hat. Joan met Chuck in her early teens and although it took some work on Chuck’s part, she fell in love and they were married on June 14, 1952. They were blessed with 3 children and were together until Chucks passing on July 12, 1981. Joan and Chuck resided in Ottawa until Chuck transferred with RL Crain Ltd. to Medicine Hat in 1975. Joan continued on in Medicine Hat until moving to Blairmore, AB in 2009 where she enjoyed ending her days with the beautiful views she had of the Rocky Mountains. Joan loved to travel going on numerous road trips touring Western Canada with Chuck and friends, but also enjoyed her time at the cottage on the Mississippi Lake. Later years she went on numerous trips and cruises with Jean and dearly loved either watching or having her grandchildren over to visit at home. Joan had a lifelong involvement with the church and a faith that carried her through all of life’s ups and downs with grace and dignity. She was a member of Our Savior Lutheran Church in Ottawa, later transferring to St Paul Lutheran Church in Medicine Hat. Chuck and Joan enjoyed their time spent with the youth group in Medicine Hat fostering many lifelong friendships with the kids they were involved with that continued until her passing. The Funeral Service for Joan will be held at St. Paul Lutheran Church (515 – Sprague Way SE, Medicine Hat, Alberta) on Saturday the 29th of September 2018 at 2:00pm with Rev. Ken Edel officiating. In lieu of flowers, memorial donations will be gratefully accepted by your local S.P.C.A. or Humane Society. Condolences may be registered at www.fantinsfuneralchapel.ca.